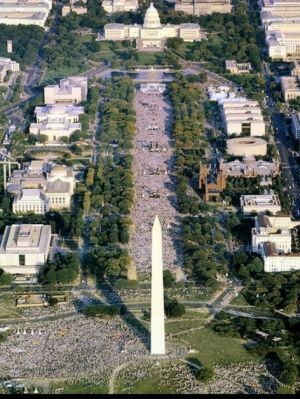 Saved, just a year earlier, I attended this Promise Keeper Rally in Washington DC with a million other men. We confessed our own sins and the sins of the nation. We stood in the Gap for America. We begged God for mercy and to heal our land. Sixteen years later, our country has ‘plummeted’ into debauchery. Crime is rampant! Corruption has permeated all levels of government, be that Federal, State County or Town. Second Chronicles 7:14 is often quoted by well meaning but very misguided pastors and Christians alike. Used as a ‘magic wand’ that can shoo away all manner of evil from our shores no matter how egregious the evils committed or for how long. When a watchman on the wall tells another Christian that America is being judged by God, the Christian dutifully trot out the ole “2 Ch. 7:14” horse. They ‘don’t want to hear’ his message! This is nothing new, people have always had a ‘kill the messenger’ attitude, especially if they didn’t like the message! Ok, here’s a question for the ‘2nd Ch. 7:14’ magic wand wavers out there! How well is it working for you? A million strong, praying, repenting, pouring our heart out to the Lord; surely this would do some good? 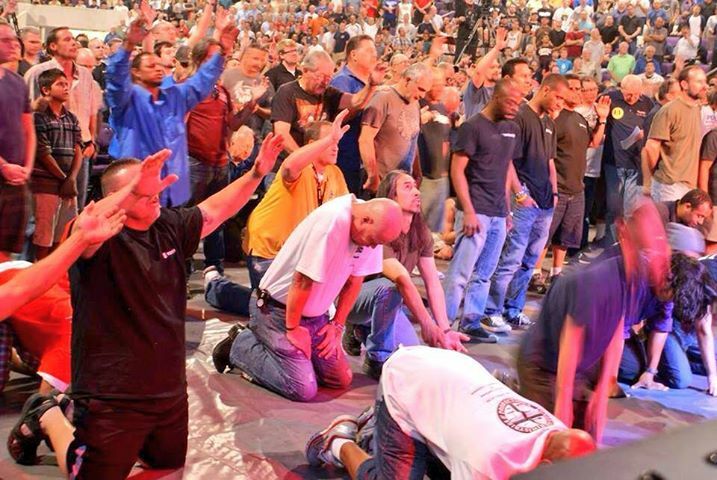 When a million men ‘Go silent’ in a place like the Washington Mall, everybody notices! Even the tourists that were not part of this enormous rally hushed as we became silent before the Lord in a fantastic moment of solemn worship! 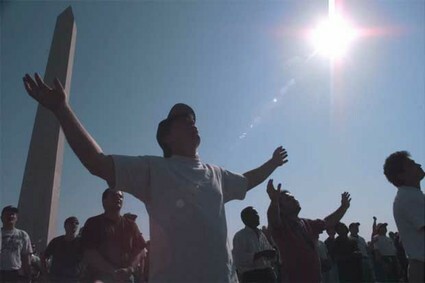 We confessed our sins, and the sins of America before God, publicly, before the entire world! This confession took a long time. The speakers were very specific in naming the sins of men and of America. We were on our faces, and knees for hours, but we didn’t care about that. Tears were in every eye, every face bowed low, and arms were raised up toward the sky. It was a very profound moment. I shall never forget it! America has fallen a very long way since 1997! I’m only going to mention this in passing, even though I ‘m sure I’ll get a lot of flack for it; This promise of 2 Ch 7:14 is for the Jews and Israel, not for the church or America! Replacement theology has done is terrible work, even among those who love Israel! We, the Church are ‘NOT’ His people! The Jews are His People! Replacement theology is a very difficult thing to combat. Hermenutics is sadly lacking in the church today, especially when the church appropriates this verse for itself instead of allowing it to be used in its proper place. When the door is shut, no one can open it! There comes a time when no amount of prayer and repentance will stay the hand of the Lord. Clearly there is a “Point of no return”! A point when judgement will no longer be delayed! We didn’t know it back in 1997, but the die had already been cast! It was already, too late! America is in a free fall to moral decay and debauchery! Well, Gee whiz Ernest, this is not a very encouraging message! No it isn’t, not for those who stubbornly cling to ‘This world’ instead of focusing on the next! Its time to ‘Cling to what remains’! ‘Nevertheless what you have, hold fast until I come. Try to get ‘one more person’ into the lifeboat named Jesus before the end. And rest assured, there will be one, and it is coming fast!